Yes guys you saw the title right African Swimwear Designers. Although spring is around the corner here on Ciaafrique I am already thinking about the sun in summer after e all I was born and raised in one the hottest countries in the world . Anyhow today I took some time to research and found some of hottest African swimsuit designers. I am sure there are plenty more out there but so far these are my favorite. If you know more please hit me up so I can post it . lalesso is most definitely one the hottest line out there . Aya Morrison does not need not any introduction here on ciaafrique . I have posted about this young talent from Ghana already in the past and the line is by far my favorite one. 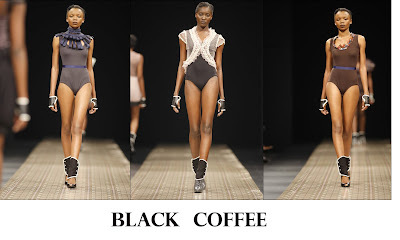 We all know that black coffee was at the 2010 Arise fashion week. I was surprised to learn that they make Swimwear . This is the swim wear line of Stoned cherrie from South Africa. There you have it Afronistas , All of the Above designers make other stuff like , shoes, handbags and clothes. I hope you are getting beach ready because summer is only 3 months away. Stay Fabulous !!!!!!!! Designer swimwear has been specifically designed not only to make women look feminine, sophisticated, and beautiful, but also to make them feel comfortable about themselves and their body while basking under the sun.